Take advantage of our location and visit Grenoble's old town. Discover our restaurant, Le Café Pourpre, from Monday to Friday. 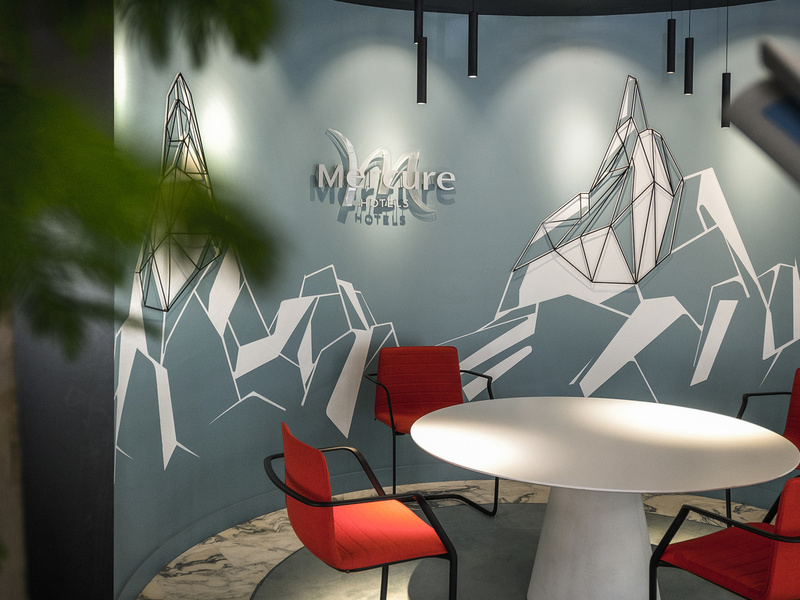 Close to the Alpexpo conference centre and not far from the winter sports resorts, Mercure Grenoble Centre Alpotel ensures relaxation and peaceful work during your stay. Also discover the Bastille, and the Vercors and Chartreuse nature parks. Our restaurant Café Pourpre will be closed from 22 December 2018 to 01 January 2019. You will be offered a meal. Choose between our two room categories: Standard Room with a street view, or Superior Room with additional services and a view over the fortress. The "Café Pourpre" restaurant offers traditional French cuisine prepared with fresh produce. the Hotel is clean and well organized. It cover all basic needs of the clients. I normally host here because it is a good compromise of quality in relation with price. I tried several time also the Restaurant that it is not so good. So, if you are alone and you could go out for a dinner, I suggest warmly to do it. I had two or three time the dinner there because I was alone and it was raining.... No one of the times I was happy for the food. Enjoyed the hospitality and support from the staff. Next time I will need to select a larger room, flt cramped. Good but always a got rooms facing to the park. No problems, easy check in and out. Good parking facilities. Great location, clean rooms, GREAT staff! The reception staff and breakfast staff make me smile every time i see them! The hotel decor is a little dated from the 1970s, but that adds to its charm. The location is good, simple to access by car and also walking distance from the football stadium and city centre. Service was friendly. Despite being near a busy road, the rooms were quiet and comfortable. A refridgerator in the room was a nice touch. My only criticism would be the parking arrangements - the entrance to the car park wasn't working, so I had to use a public garage about 10 minutes walk away. Everything is ok except that the room is very small. The rooms are small but very clean and nice. The hotel staff (reception and breakfast) is very very friendly. However, the manager of the hotel restaurent is extremely rude and service level was zero. Many of my colleagues tried the restaurent out but he managed to destroy the evening, every time. The room and breakfast were up to the usual good standard that you expect at a Mercure hotel. My room was very quiet up on the 5th floor with a lovely view of the Alpes. I was however a little disappointed that the restaurant and therefore room service are not available at weekends, especially as it was not easy to find somewhere open on Sunday. when you pay 150 euro per night you can expect something more... Problem with parking, very tiny rooms. You cannot open the window and air conditioning was not working, so it was very hot during the night. I don't like so small closed spaces without fresh air. Very good reception staff. Very welcoming and very helpful. Convenient location, good amenities. Very clean. Very good hotel close to the city center, two or three minutes’ walk from the nearest tram station. Facilities are new and staff are friendly. Breakfast buffet starts at 6h30, great for the early risers. Services were good, breakfast great, room was clean. The bed was terrible, had back pain since I returned from journey. AC did not work properlly. Terrifying and old elevator.